The UK’s decision to leave the European Union has resulted in the ‘biggest ever year’ for Edinburgh’s Scotch Whisky Experience. The whisky attraction at the top of the city’s Royal Mile saw a 9% increase in visitors during 2016, with growth strengthening following June’s Brexit referendum. Over 326,000 tourists visited the attraction during the year, with 176,000 choosing to take the Experience’s famous barrel ride tour. The attraction’s operators claimed the weakening of the pound against the Euro encouraged visitors from Europe to visit Scotland during the second half of 2016, and Brits to holiday at home. Visitors from Europe, North America and England have increased by 15-25% in the past year, while those from China grew by 30%. The Scotch Whisky Experience, which is home to one of the largest collections of Scotch whisky in the world, has been rolling out a series of improvements and upgrades, including the renovation of its sensory rooms. The attraction recently acquired the giant whisky map featured on BBC documentary Scotch! The Story of Whisky for £4,050 at a charity auction organised by Scotchwhisky.com. The map, which is made from corrugated iron and whisky barrel staves, and features a lightbulb for every distillery in Scotland, will be used to enhance the attraction’s visitor experience. British and American Sign Language speakers can now get a taste of the Edinburgh attraction. Discover hundreds of rare and wonderful drams in the city’s best whisky bars. New display in Edinburgh examines the legacy of ‘The Father of Blending’, Andrew Usher. 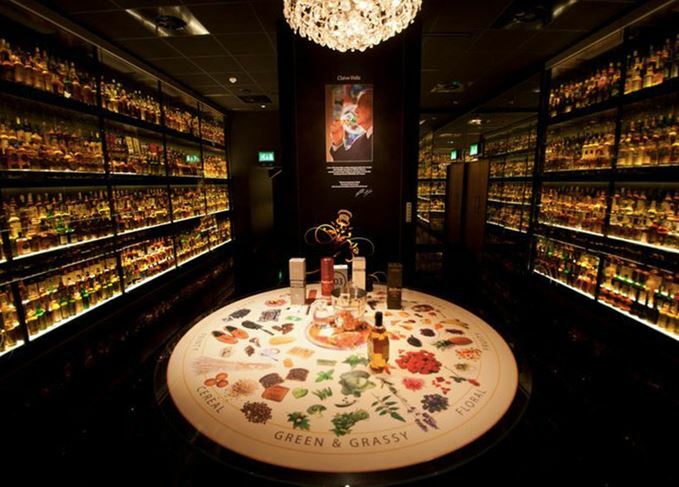 The almost 3,500-strong collection is on public display at Edinburgh’s Scotch Whisky Experience. What started as a part-time student job evolved into a life-long passion for Scotch whisky.